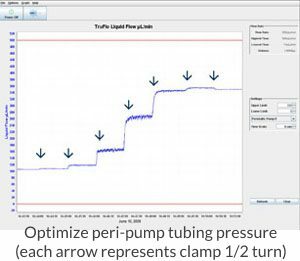 • Incorrect pressure of the pump tubing clamp? 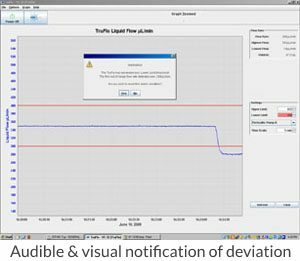 With the digital display of the TruFlo Sample Monitor, you always know the actual rate of sample uptake to your nebulizer. This enhances the day-to-day reproducibility of your results and reduces the need to repeat measurements due to a blocked nebulizer, worn pump tubing or incorrect clamping of the pump tube. And the borosilicate glass sample path ensures that there is no memory effect or sample contamination. 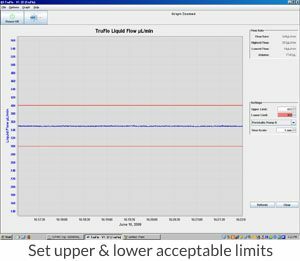 The TruFlo can even sound an alarm if the sample uptake is outside your specified limits. The TruFlo is also ideal if you are relying on the natural aspiration of the nebulizer. Many operators, particularly of ICP-MS, use natural aspiration in order to eliminate the effect of peristaltic pump noise from their measurements. 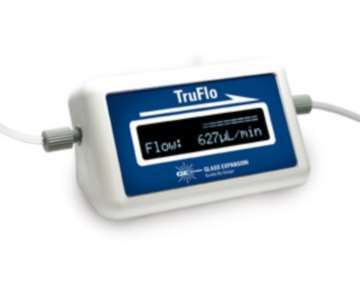 With the TruFlo, you always know what your sample uptake is and you can take immediate corrective action if there is any change. 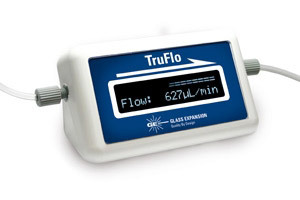 The actual sample flow is shown on the TruFlo's inbuilt digital display and a graph of the flow versus time can also be displayed on your computer. 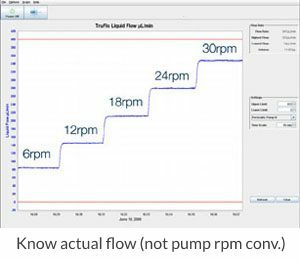 Accuracy of flow reading: +/-5% (with deionized water, within calibrated flow range).